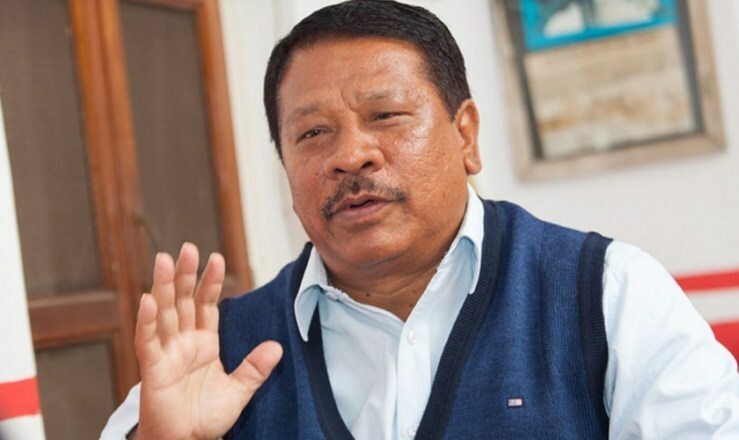 Kathmandu –Nepali Congress (NC) leader Prakash Man Singh has asserted that NC, which is in a major opposition role, would always lend its support to the incumbent government to bring into effect federalism in the country. Addressing a 'Meeting and Greetings Exchange' event held at NC Kathmandu Metropolitan City-10 today, leader Singh reiterated, "Nepali Congress would always support the government for the economic development of the country and people-oriented programmes." Accusing that the incumbent government has failed to the expectation of the public, Singh blamed, "The party-CPN- whose manifesto incorporated establishing political stability, good-governance and economic prosperity among other agendas have not been able to perform as per its commitments made during the election." According to him, the public were suffering due to the inflation and the government has been a failure to translate the economic prosperity agenda into action. The former Deputy Prime Minister reaffirmed that they were effortful to further NC in an effective manner.